Today it looks like YouTube is rolling out the long-awaited Copyright Match tool, which will let normal Creators deal with video-stealers. In the past it’s mostly just been larger companies that have been privy to Content ID and other more exclusive tools. The tool was announced a while ago but (at least for me) just released and was added to the YouTube Studio Beta, where it can be found in the new Copyright section. You’ll get an email when you have access to Copyright Match in the new Studio Beta dashboard. It’s not presently in the old Creator Studio. You’ll be shown something like below, assuming you have any matches. It lists the videos, some metadata on them, and includes links to the video to see it. You should check the video manually to see the exact context it’s used in, though as you can see in the below images, my matches were all 100% direct rips with not so much as a commentary track or video edit of any kind. Of note, the physical address of your channel/self is not given to the other party unless they attempt to sue you. This is a step up from the current process which would require a hard address. Granted, some people simply spoof information in the existing system. After this form, a real, meat human reviews the case at YouTube, and only after this review is the video actually struck and removed. Theoretically this will reduce abuse, though it’s YouTube we’re talking about here so that remains to be seen. There’s three main options when you get a match: Archive, Request Removal, and Contact. Archive simply archives the match (use this when no action is needed), Contact lets you request removal manually or otherwise work things out by talking to the uploading channel without (yet) sending a strike. Request Removal has two sub options; you can give a 7 day notice, or request immediate removal. With the 7 day notice, the other party has 7 days to remove the video before a strike. This is best used for cases where you truly do want the video down but for whatever reason don’t believe they channel deserves an instant hit, such as ignorant but not malicious misuse. The instant removal you can use for all your humdrum “yeah I’ll just copy paste this video and claim it as my own” stuff. Generally speaking total mismatches/fair use/etc should be Archived, rude but not infringing videos should be Contacted (for example, a “react” style video that you’re okay with, except they didn’t even bother to link your channel in the description), and outright copied videos with malicious intent should be Removed. Copyright tools on YouTube have long exclusively been for large companies, like the ever-suing Viacom or “Blocked In Germany” GEMA. Copyright Match is the first time that regular creators will have any form of say in how their videos are used with a meaningfully effective process. 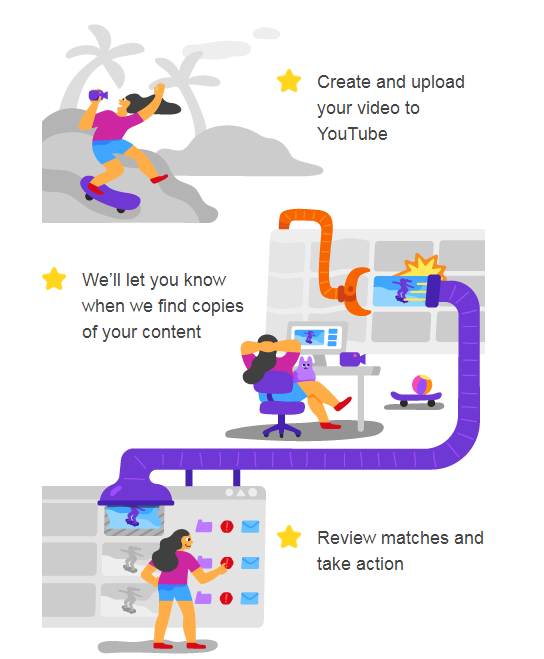 Notably, unlike Content ID not all matched videos are treated the same, since the creator (an actual human) has to review and select an action on each video. This addresses the issue of Content ID where many people just wanted to claim videos of improper use, but end up netting everyone because Content ID is purely automated and has no concept of fair use. On top of that, many people won’t bother appealing either, as YouTube deliberately makes the process quite intimidating. Hopefully this tool leads to the removal of a lot of these old scummy channels that have never been hit simply because normal people haven’t previously had a say in YouTube copyright issues. The three channels that stole my content for example were almost immediately identifiable as infringement, being filled with Let’s Play videos of multiple different people, podcasts, and even full episodes of TV shows. Of course any new YouTube copyright tool carries the potential of abuse. I’m quite familiar with YouTube copyright abuses at an unfortunately personal level. But it’s pretty much all good news in this case due to a rather simple qualifier; you have to have been the first to upload the video to claim it. This means that you can’t just upload someone else’s video after the fact and claim you’re the real owner; Copyright Match will only ever match newer videos matching an extremely high portion of your video. Is it impossible to abuse? Well nothing’s impossible. A worst-case scenario I can easily think of would be a movie or game trailer being distributed to press outlets, then someone at the movie/game company deciding to strike all channels that uploaded the trailer they offered for distribution…but that’s not exactly good business sense. A more realistic fear I have is the potential of recording a short clip of the intro or cutscenes of a video game and very quickly uploading them and potentially matching parts of Let’s Play and other gaming videos that include that segment. You would have to be the first to do this and manage to trigger the match, then a real human at YouTube would have to approve your claim for it to actually go through. I’m not sure how practical this theoretical attack is, it’s just a potential example. As you can see there’s quite a few stops along the way. 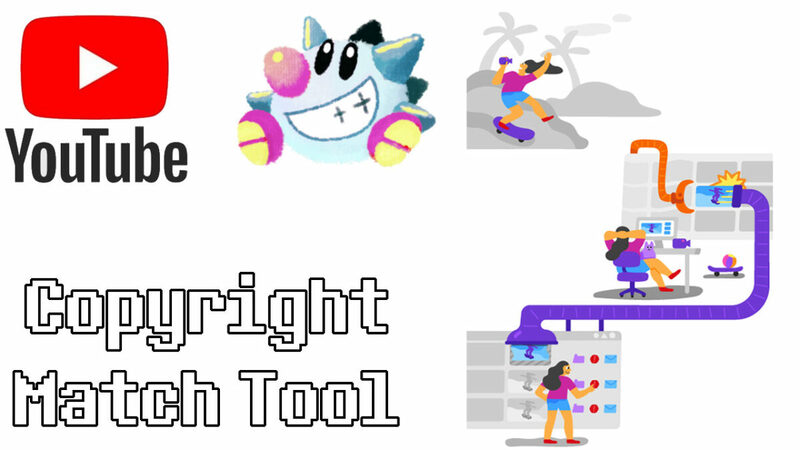 All in all I would say this is at the very least, the most abuse-proof copyright/trademark related tool that YouTube has in their toolbox, considering abuse of their other tools. In the past their copyright mechanisms have let anyone claim any video and appealing was incredibly difficult. This tool only lets you claim content you have actually uploaded before later uploaders, and lets you be human in your decision to remove it, contact the uploader, or just let it slide. In June 2017 Alex Mauer began a series of events including DMCA claims, death threats, and releasing personal information of countless parties due to a contract dispute with her former employer, Imagos Softworks/Imagos Films. The dispute also spread to include River City Ransom Underground and includes several other games as well. As sick as I am of talking about, hearing about, and generally being in the same plane of existence as this issue, it’s a very confusing and fast-moving topic and no one really has the full story. And unlike other articles, this one will be kept up to date with new events and will be corrected as needed. 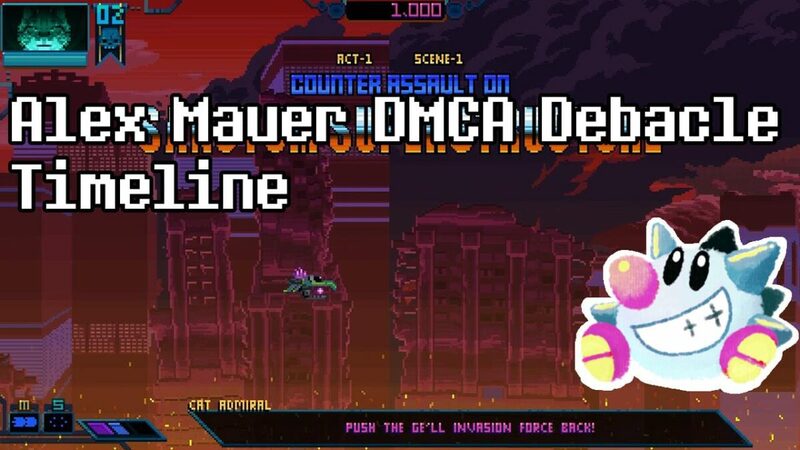 So, here we are; a timeline of events in the Alex Mauer DMCA situation. There will be little analysis in this piece for various reasons; the horse is dead, I’m sick of talking about it, discussion on the issue turns nasty fast, an objective analysis isn’t easy to find, etc. etc.. Most of Mauer’s actions speak for themselves when presented in proper context anyway. Times may be approximate. Feel free to contribute or correct anything you feel is relevant and I’ll update the list as necessary, but some of the more minor issues are not tracked due to the extreme depth of this ordeal. 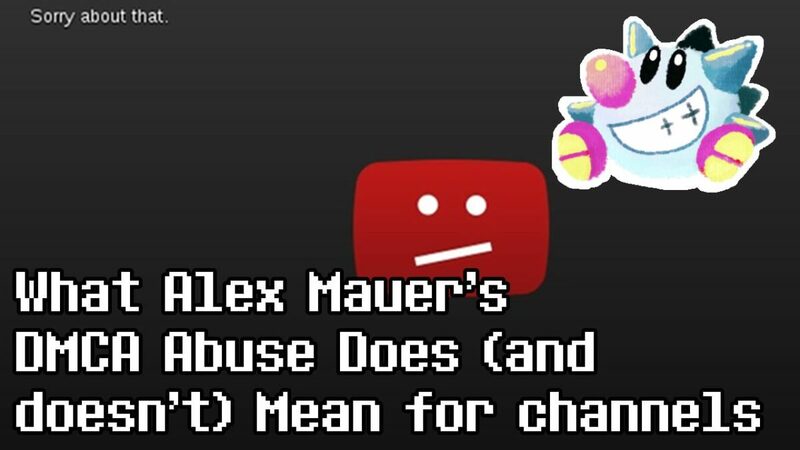 If you’re curious about the YouTube specific situation, see this article by me on how YouTube’s DMCA system is being exploited by Alex (and could be exploited by pretty much anyone else). Or: It’s Time To Stop Defending Nintendo Unless You Hate Fan Art Too. A common refrain when a fan game is taken down is that it’s within Nintendo’s rights. Do you know what else is within Nintendo’s rights? Sending DMCA takedowns to every single OC Remix track based directly on Nintendo’s music. What else is within Nintendo’s Legal Rights That Are Totally Always Okay To Enforce? Say Nintendo read every article about Cosplay and sent a DMCA notice to have the pictures taken down and demanded that the cosplayer never again display or create a costume based on a Nintendo character. Is that cool with you? Because it’s not actually any different than fan games, legally speaking. How about Nintendo sends DMCAs to the millions of pieces of Nintendo character fan art spread across Deviant Art, Pixiv, Twitter, Tumblr, everywhere? Because they could do that. Legally. Remixes, fan art and yes, even cosplay are derivative works. 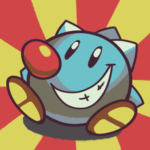 The only legal difference between them and fan games is that corporations don’t go after them. I’m angry. 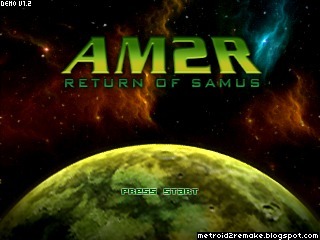 You see, recently a truly fantastic Metroid 2 fan recreation was released: AM2R. I played it for a live stream. It’s truly fantastic, and has an amazing amount of original work put into it, being far and away more than a “fan port” of the game. But then it got taken down by everyone’s least favorite four letter word, a DMCA, straight from Nintendo. I’m very frustrated with Nintendo for the copyright claim, very frustrated the game was taken down (though torrent sites seem to be ensuring it will not be lost). But that’s not what I’m writing this article about. I’m writing this because this conversation about copyright and fan projects is…the same as all conversations about fan projects. The conversation is full of ignorance, misunderstanding, and what I can only assume are deliberate bald-faced lies about what companies have to do to protect their copyright.